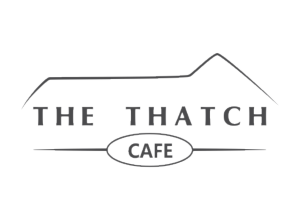 How to find us on Google Maps and get directions plus GPS Coordinates. Take the “R28/N14” (Pretoria / Krugersdorp) highway towards Krugersdorp – at the first traffic lights intersection turn right – drive ahead for approx. 8 km on “N14” and find a sign “KROMDRAAI” on the right-hand side – turn right at the Kromdraai sign and follow the road for approx. 7km until you find a traffic circle at a low water bridge – drive straight on for another 800m to find the Rhino & Lion Nature Reserve main entrance on the left-hand side. Take the “N3” towards the “N1 South” (Western Bypass) and get off at the 14th avenue “M47” off ramp – turn right at the traffic lights and pass underneath the dual carriageway bridge and turn immediately towards the west i.e. Hillfox, Ruimsig – drive until you reach the “R28/N14” (Pretoria / Krugersdorp) highway at a traffic lights intersection – drive straight ahead for approx. 8 km on “N14” and find a sign “KROMDRAAI” on the right-hand side – turn right at the Kromdraai sign and follow the road for approx. 7km until you find a traffic circle at a low water bridge – drive straight on for another 800m to find the Rhino & Lion Nature Reserve main entrance on the left-hand side. Take the “N3” towards the “N1 South” (Western Bypass) and get off at the Malibongwe dr. “R512” off ramp – turn right cross over the bridge towards Lanseria Airport. Cross straight over the 3-way stop at the LANSERIA Airport for approx. 2 km and turn left at the “KROMDRAAI” sign also signalling Rhino & Lion Nature Reserve on the left-hand side and follow the road for approx. 17km to find the Rhino & Lion Nature Reserve main entrance on the right-hand side. Take the “N3” towards the “N1 South” (Western Bypass) and get off at the Beyers Naudé “M5” off ramp – turn right cross over the bridge towards Honeydew. Pass through Honeydew towards Muldersdrift. Pass the Muldersdrift turnoff to the left and cross over the Krugersdorp/Pretoria highway for approx. 2km. Turn left at the “KROMDRAAI” “Rhino & Lion Nature Reserve” sign and follow the road cross over two traffic circles and turn right at the next traffic circle. Follow the road for approx. 800m to find Rhino & Lion Nature Reserve on the Left. 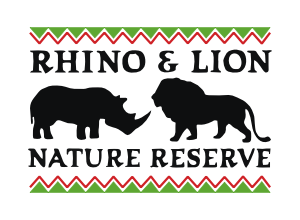 Take the “R512” Lanseria road towards Sandton – turn right at the “KROMDRAAI” sign – drive for approximately 17 km until you find the Rhino & Lion Nature Reserve main entrance on your right-hand side. 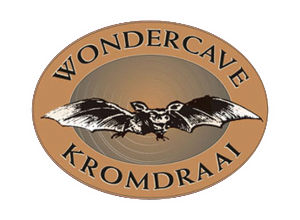 Take the “R563” towards Krugersdorp – turn left at the “KROMDRAAI / STERKFONTEIN CAVES” sign – drive until you get a T-junction and turn left – drive until you find a traffic circle at a low water bridge – drive straight on for another 800m to find the Rhino & Lion Nature Reserve main entrance on the left-hand side. Take the “R24” towards Krugersdorp – turn left on the “N14” towards Pretoria / Hekpoort road – at the T-junction turn right on the “R563” towards Krugersdorp – turn left on the “N14” Pretoria / Roodepoort road – drive for approx. 4km to find the “KROMDRAAI” sign on the left-hand side – turn left at the Kromdraai sign and follow the road for approx. 7km until you find a traffic circle at a low water bridge – drive straight on for another 800m to find the Rhino & Lion Nature Reserve main entrance on the left-hand side. Take the “R28/N14″ ” (Pretoria / Krugersdorp) highway towards Pretoria – at the traffic lights intersection below Pinehaven turn left – drive for approx. 8 km on “N14” to find a sign “KROMDRAAI” on the right-hand side – turn right at the Kromdraai sign and follow the road for approx. 7km until you find a traffic circle at a low water bridge – drive straight on for another 800m to find the Rhino & Lion Nature Reserve main entrance on the left-hand side.